1. 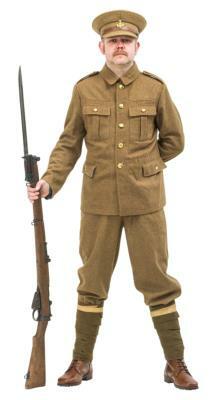 All costumes and uniforms remain the property of The History Bunker Ltd.
3. Uniforms must be returned by Royal mail or courier next day delivery service on the day specified on the booking or otherwise agreed (a member of staff will call you to arrange this). 4. Uniforms should be (if possible) returned in the packaging in which they arrived. 6. Customers must wear underwear whilst wearing our costumes. 7. Customers must not wash, pin, sew, iron or affix badges or sticky labels to the uniforms.